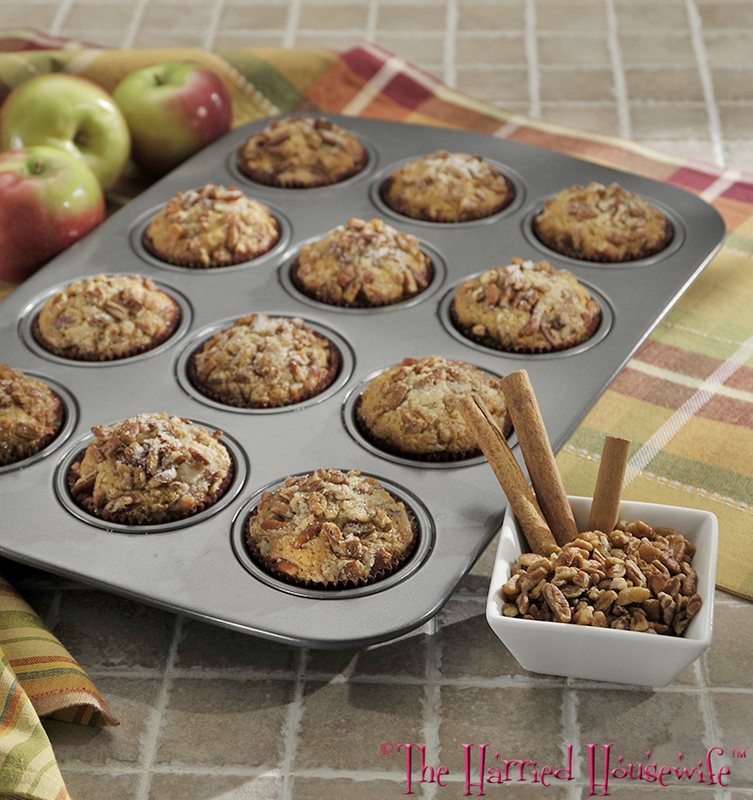 Celebrate apple season with mouthwatering muffins topped with the tasty goodness of sugary pecans. 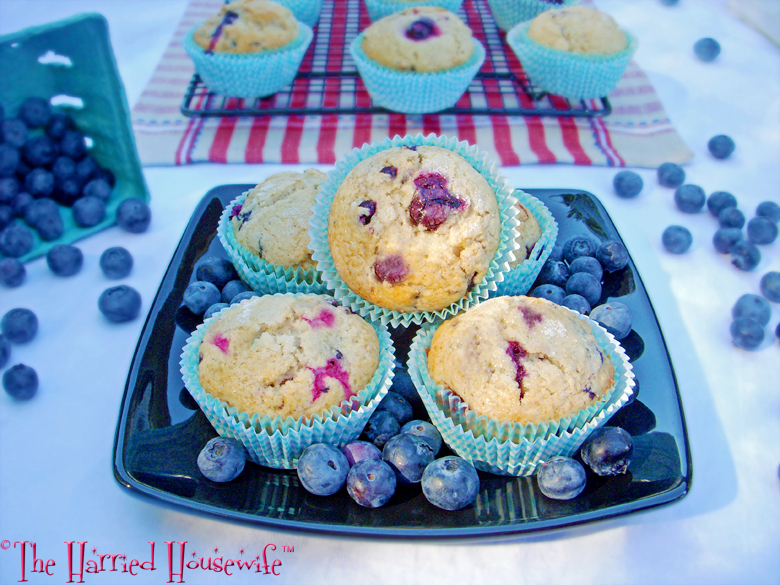 An autumnal treat that will appeal to both children and adults, these yummy muffins are quick to prepare and are bursting with homespun flavor. You can grease the muffin cups or line them with paper liners, whichever way you prefer. I chose this nonstick muffin pan from Oneida to ensure the muffins cook perfectly and are easy to remove. 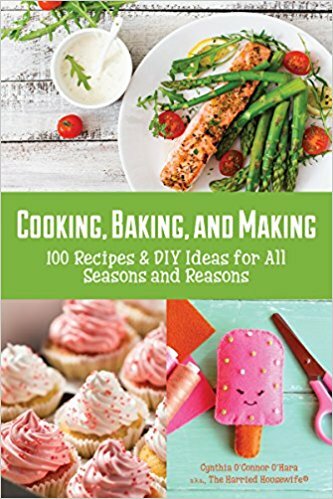 Perfect for a bake sale, school function, or weekend brunch, these seasonal goodies are ideal for a crowd. 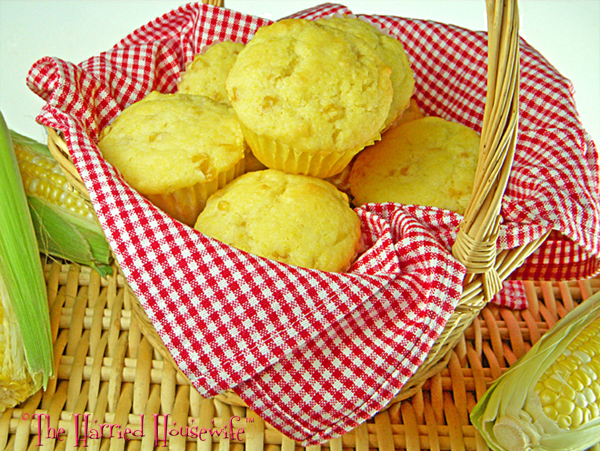 So if you would like to satisfy the craving for a homey apple treat, make these muffins. After all, orchard-fresh apples never tasted so good. Preheat oven to 375 degrees. Grease 15 muffin cups or line with paper liners. In a large bowl, combine flour, sugar, cinnamon, baking soda, salt, and baking powder. In a medium bowl, whisk together eggs, milk, and butter. Stir in applesauce. Add to flour mixture; stir just until moistened. Divide batter among prepared muffin cups. For topping, in a small bowl combine pecans and 2 teaspoons sugar; sprinkle over muffins. Bake until a toothpick inserted in centers comes out clean, 18 to 22 minutes. Cool in pan 5 minutes before removing to a wire rack. Cool completely. Makes 15 muffins.